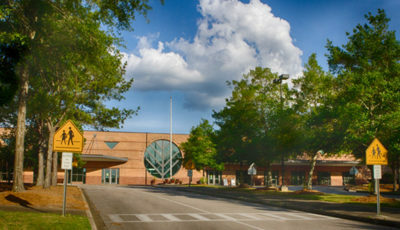 Alabama School Connection » Alabama Teachers Answer: What Do You Need? Alabama Teachers Answer: What Do You Need? 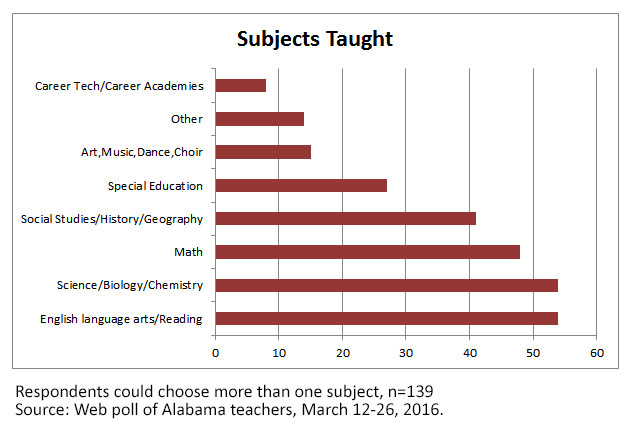 Alabama’s teachers need a whole lot of different things to improve student learning in their classrooms, according to initial results of an unscientific web survey conducted by the Alabama School Connection. 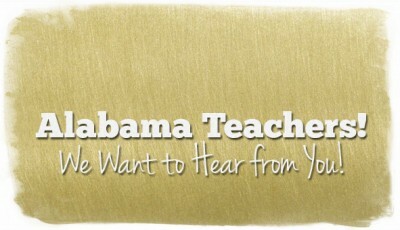 While the survey is open until March 31, we just couldn’t wait any longer to share what Alabama’s teachers are saying. The results below reflect responses gathered between March 12 and 26. We asked teachers what they need along with who they believe helps and supports them in the mission to improve their students’ learning. While there are over 43,000 teachers in Alabama’s classrooms, we hoped to gather a smattering of what our readers (who are teachers) might have to say. 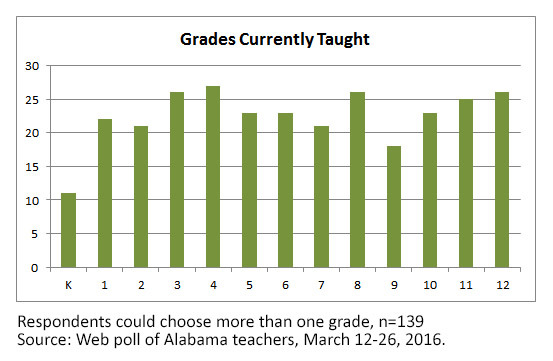 139 Alabama teachers responded to our survey through March 26. Because this first question was open-ended (we wouldn’t dare presume to know what teachers need), we thought it best to first share their words directly. We asked teachers to be as specific as possible and not to simply say “more money”, but to tell us how that money should be used. Much of what teachers said is shared on these slides, taken directly from the survey. While it was an anonymous survey, teachers were given the option to share what grade(s) and subject(s) they taught, along with how many years they’d been teaching in Alabama classrooms. We added that descriptor to help convey their meaning. Here’s what Alabama’s teachers had to say. To gain a better understanding of what teachers need, we created a number of categories based on their responses. The most common response was to have smaller class sizes, with a number of teachers reporting that the large numbers of students per class making it difficult to teach, instead forcing teachers to spend more time managing students. Large numbers of children in a class also made it more difficult for teachers to individualize instruction, which is a particular problem for students receiving special education services. Running a close second was the need for better technology, with a common concern being the inability to either consistently use technology or to have access at all. Many said they are concerned that their students won’t be ready for their real world if they didn’t have better access to technology. 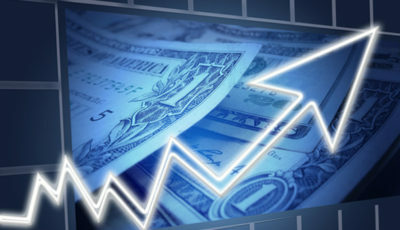 Money wasn’t as big of a factor as expected, with most teachers saying they need something other than money (except where technology and supplies for their classrooms were concerned) to improve learning. Some of those other things are better support from parents, freedom to teach and students who want to learn. Who Helps and Supports Teachers to Improve Student Learning? It comes as no surprise that teachers feel most supported by other teachers, support staff, and the principal in their schools, and least supported by those working in the Central Office in their districts. And while it may not be surprising, it is disturbing that teachers were split on whether their students’ families could be counted on for help and/or support to improve learning. Even more disturbing, teachers’ responses indicate that PTOs and PTAs offer little more in the way of help and support. We asked two different questions, one asking whether teachers could actually get the help they need, and the other asking whether they feel supported in their efforts to improve learning. Though the questions are similar, only 18 of the 139 respondents answered each set of questions in an identical way. Here are teachers’ responses. 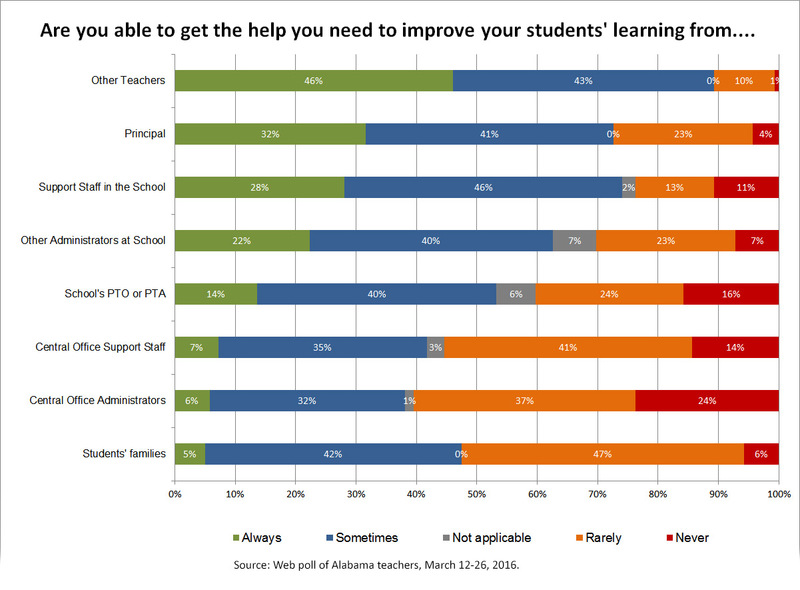 This first chart shows responses to whether teachers believe they are able to get the help they need from each group. This chart shows teachers beliefs of whether they feel supported in their efforts to improve students’ learning by each group. Can Teachers Ask for Help If They Need It? Quite frankly, we blew this question. Badly. It was written badly. The responses are difficult to interpret as a result. We apologize for the poorly-written question and hope to ask this again in a better, clearer way. Our mistake was that we asked two questions in one: first, we asked if teachers felt comfortable asking for help, and then confounded it by asking if teachers would suffer negative consequences by asking for help. Looking through the responses, it’s unclear if teachers were answering “no” to the first question or to the second. We are terribly sorry. So What Do We Do Now That We Know? We hope that by gathering teachers’ voices together, we can all have a better discussion about how to best support teachers in their mission to improve student learning. Again, we recognize this was not a scientific poll. It was a first attempt to gather teachers’ voices and hopefully inspire others to ask their teachers what it is they need to improve student learning in their local public school. 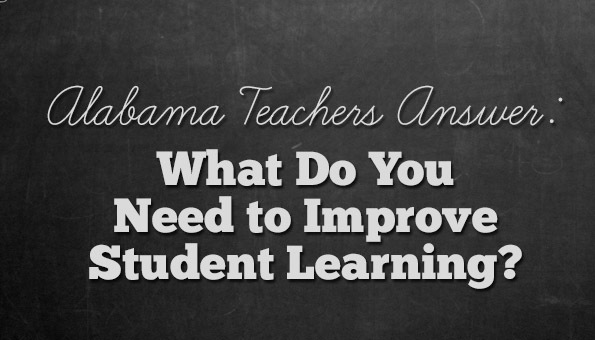 Given the sincerity with which Alabama’s teachers answered this unscientific survey, it is highly likely that if asked, teachers in your school might be willing to answer the same question: what do you need to improve student learning in your classroom? The survey was anonymous. We asked respondents to share a few descriptors of who they are, to help us better understand their views. 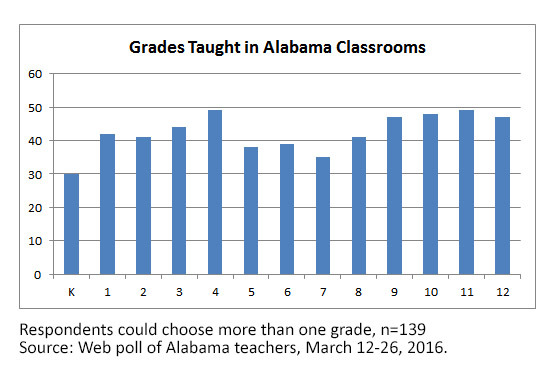 As it turns out, respondents evenly covered the spectrum of grades currently (and in sum total previously) taught in Alabama’s classrooms. English, science, and math were the most commonly taught subjects, though respondents were allowed to choose multiple subjects as many teachers, particularly in elementary schools, teach multiple subjects. While we did ask respondents to share in which school district they worked, and teachers were willing to tell us, in an effort to keep the conversation going, we have chosen not to share that information here. Responses came from 35 of Alabama’s 136 school districts, including city and county school districts. Here’s a look at whose words you read in the slides above. Our sincere thanks to those teachers who took the time to respond to our survey. Alabama Teachers! We Want to Hear from You! How Experienced Are Your District’s Teachers?